The rise of e-commerce is great for your small business, but along with the increase in sales comes a greater number of returns as well. If you’re focusing on sales at the expense of reverse logistics, you could end up seeing your hard-won customers heading elsewhere. If you need any more proof of the importance of the returns process, consider this: many online customers say they consider the returns policy of an e-tailer prior to placing an order. Those that don’t provide a hassle-free way to send unwanted products back will end up getting the short end of the stick. The labor and shipping costs involved mean reverse logistics costs more than forward logistics. The package to be returned has to be collected, sent to the returns center, opened and inspected by hand, categorized, repackaged, sent to the sales venue and restocked. It’s a big project, with nearly a third of businesses needing roughly two weeks before a returned item makes its way back to inventory. In the meantime, it could depreciate or go out of date. That’s why having efficient processes in place is essential. One way to make returns a lot easier is by using strategic packaging. 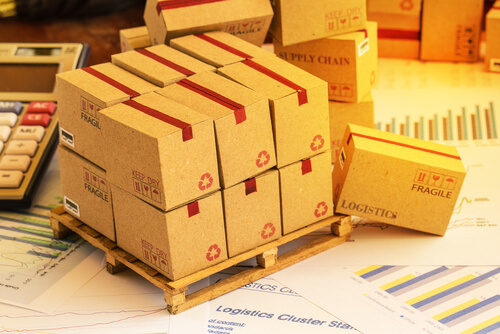 You can minimize shipping costs and reduce the complexity of the whole process if your packaging is selected with returns logistics in mind. Specifically, making the delivery receptacle suitable to serve as the return receptacle saves customers a lot of hassle and is a more environmentally-friendly option. It’s also a good idea to include prepaid return labels within the package during the fulfillment process, along with instructions on preparing the package to be returned and the returns policy. By making it easier for customers to return unwanted goods rather than making it an afterthought, e-tailers can hold on to more customers and attract news ones without having a big impact on their bottom line. This blog post was based off of an article by Longitudes. Read the full article here.